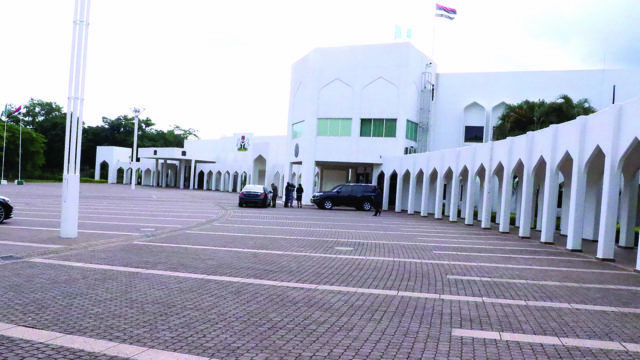 Voting began at the Aso Rock Villa at exactly 8:55 a.m. with election materials already in place as at 7.10 a.m. Voters were seen conducting themselves in orderly manner on the long queues as INEC officials conducted them in in alphabetical order of their names. Security operatives maintained the order while food sellers used the opportunity to make brisk business. Mr Idara Udoh, an Election Observer with Global Policy Advocacy and Leadership Initiatives said everything was in order and with people conducting themselves peacefully. Mr Azubuike Anyadiegwu who arrived the unit at 4 a.m., said:”I wouldn’t mind waiting long for my vote to count. So, I am not in a hurry to vote or leave here because today has been dedicated for us to exercise our civic rights”. Mrs Felicia Onibon, an Election Observer under the auspices of Women Situation Room Nigeria said that the NGO was focused at observing different aspects of the election particularly violence against women to avoid women being maltreated or humiliated. According to her, adequate attention is being giving to persons living with disability, pregnant women, elderly people, nursing mothers.